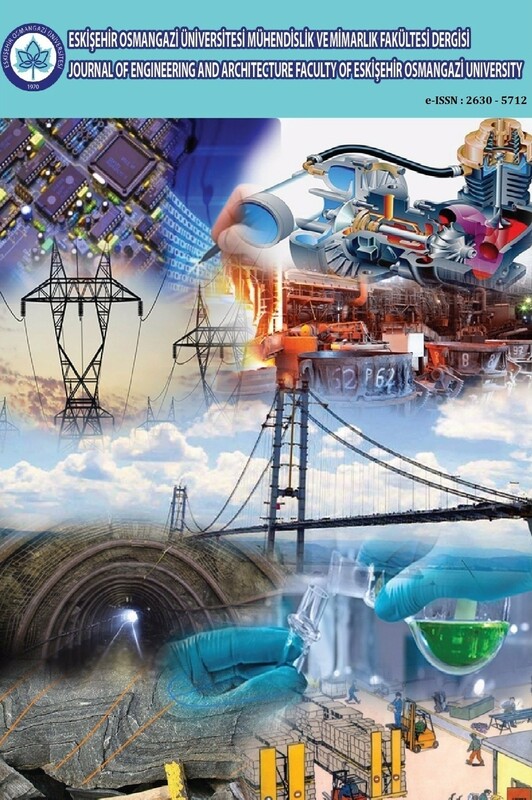 Journal of Engineering and Architecture Faculty of Eskisehir Osmangazi University publishes theoretical and empirical research papers in a wide range of areas in engineering sciences. The journal publishes manuscripts either in Turkish or in English. Page Margins: Manuscripts should be prepared in a standard A4 page size (210mm * 297mm) with margins 30mm on the top and 25mm on the left, right and bottom. The manuscripts should be set in two-column format. Font: Manuscript files should be provided in Microsoft Word format. All text of the manuscript should be written in Cambria, 10 pt. Paragraphs should start at the beginning of the line (no indent, no tab) and there should be 6 pt line spacing before each paragraph. Manuscript, including abstract and references, should not exceed 8000 words in length. Title: The title of the article should be written in 12 pt, each letters should be capitalized and the title should be centered on the page. The title should not be more than eighty characters. Öz/Abstract: Öz/Abstracts are required for all manuscripts regardless of the language of the manuscript. Abstracts should be provided in both Turkish and English for all papers. Following the title, an abstract of 250 words, briefly stating the purpose and the results of the paper, should be included in the paper. Abstract should not include any references. It should be written in Cambria, 10 pt and italic. Anahtar Kelimeler/Keywords: At the left side of the abstract, maximum of five keywords should be provided. Introduction and Other Parts: Following the abstract, the manuscript should be divided into various sections starting with introduction section and should end with references.